In this chapter the control problem of output tracking with disturbance rejection of chemical reactors operating under forced oscillations subjected to load disturbances and parameter uncertainty is addressed. An error feedback nonlinear control law which relies on the existence of an internal model of the exosystem that generates all the possible steady state inputs for all the admissible values of the system parameters is proposed, to guarantee that the output tracking error is maintained within predefined bounds and ensures at the same time the stability of the closed-loop system. 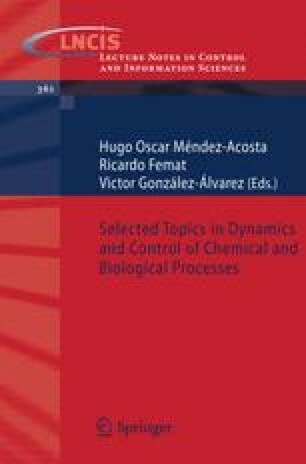 Key theoretical concepts and results are first reviewed with particular emphasis on the development of continuous and discrete control structures for the proposed robust regulator. The role of disturbances and model uncertainty is also discussed. Several numerical examples are presented to illustrate the results.